Humans have long gravitated toward communal living. From our earliest beginnings, we’ve been social creatures, gaining strength and security by sharing resources. In those days, most people stayed their whole lives within about 50 miles of where they were born; relying upon family and neighbors for help was a given. But that’s no longer easy in today’s mobile society. Many of our families are hundreds if not thousands of miles distant. We live in one place while we spend much of our waking time at work, often a fairly long commute from our homes. Add in our addiction to electronic devices and more and more Americans are finding themselves more and more isolated. For some, joining groups became de rigueur, from religious affiliations to a whole variety of social clubs (whether organized like the Lions or informal gatherings for book club or bridge). But relying upon friends scattered across a metro area still means we spend a lot of time in our cars and away from our homes. Recognizing that car-centric suburbs further disaffiliated many of us, Smart Growth initiatives took hold of the real estate development industry in the late 1990s. Their solution was to create neighborhoods that were walkable and amenity-filled — designed to create a sense of community. Over the years, the Smart Growth movement became almost exclusively to preserve natural resources through higher density construction. That’s a truly laudable goal, but in reality, many families still want a single-family home with a nice big yard. Developers, like all good business people, took the best Smart Growth ideas and made them their own. Today, you’ll find neighborhoods of different sizes and types, but each designed to help different families fulfill their own personal needs for community. These are the neighborhoods you can find each spring and fall when you tour the Parade of Homes. We visited with two families from last fall’s tour to find out how their new community-oriented neighborhoods have made their lives better. Vivian and Bill moved to Tributary at Foster Lake in St. Michael last year. With three adult children, two in college and one teenager still at home, they wanted a neighborhood which would transition them from parents to empty nesters in a few years. 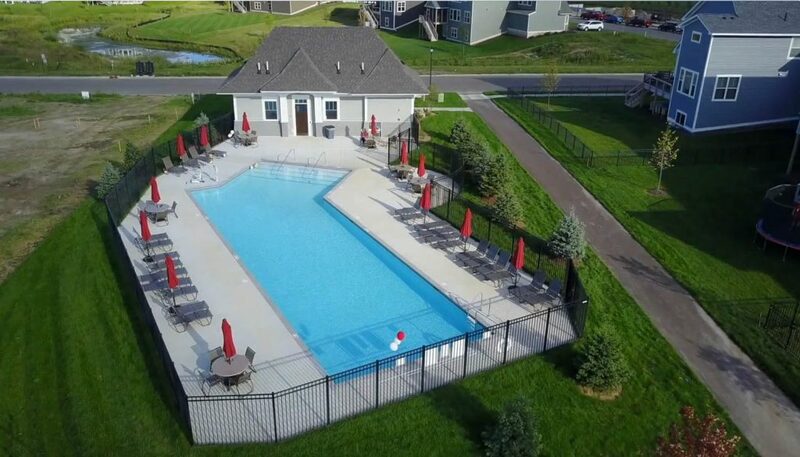 Tributary on Foster Lake | Communities often offer features like pools, walking paths, and golf access. Vivian and Bill’s new home feels like a resort to their college-age children. 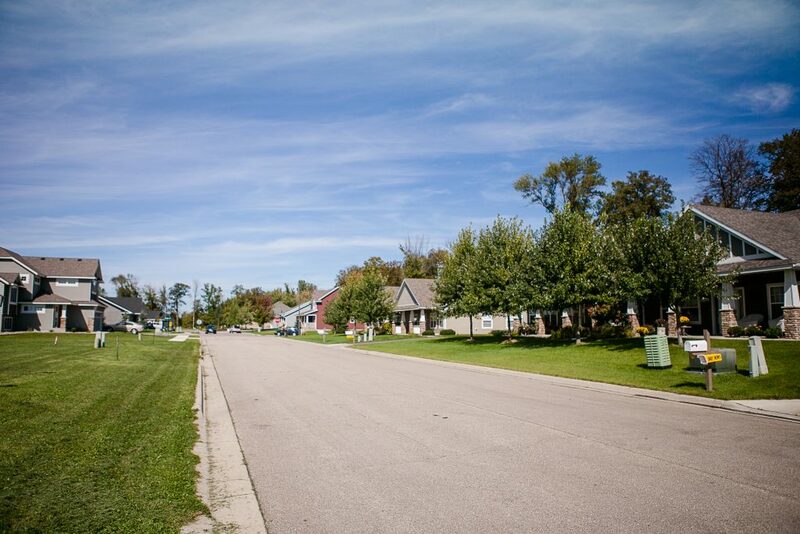 Chuck and Kelly moved from an acreage homesite to a new neighborhood in Faribault last summer. The overall neighborhood has family housing as well as villas so they have the best of both worlds — a comfortable group of empty nesters nearby and the spirited lifestyle of parents and kids living just down the street. 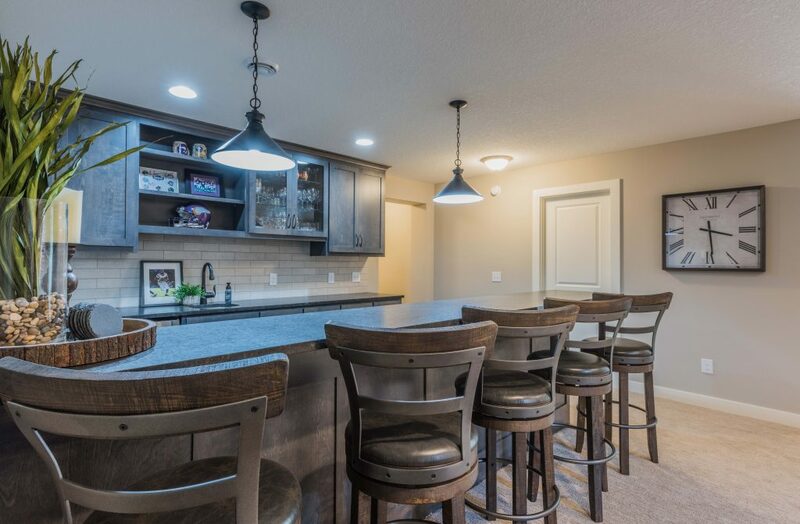 Chuck and Kelly’s Faribault kitchen. Their home gives them the best of both worlds: close to the city but still in beautiful, rural Minnesota. 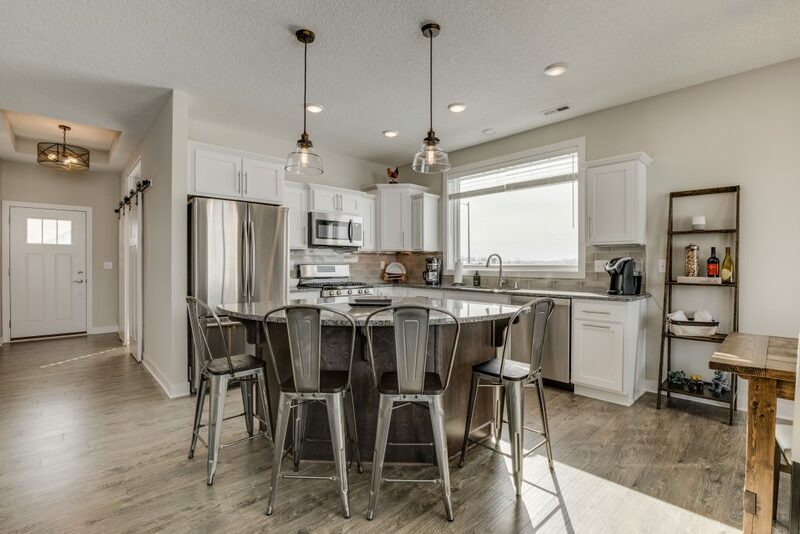 Parkland Village was developed to give homeowners both that rural feeling while still being close to the Twin Cities. Wendy Danks (wendydoodles.com) has had a career-long love affair with the Parade of Homes, spending the last 20 years as its marketing and communications director. Recently retired, she now has time to spend on her other great love, writing.